Why should sofas be an indoor-only furniture piece? When you shop our full selection of outdoor sofas and sectionals you'll have the opportunity to turn the most comfortable piece of furniture in your house into the centerpiece of a brilliant outdoor relaxation hideaway. Each of our outdoor sofas are durable and designed to withstand the elements while looking absolutely fabulous for many years to come. Browse the complete selection of sofas and sectionals now. 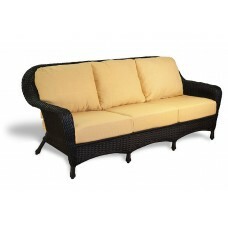 All weather wicker outdoor sofa. 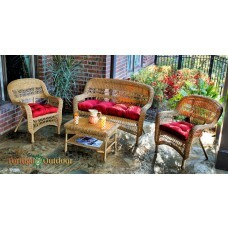 All weather wicker outdoor loveseat. We've got plenty of great materials for you to choose from, such as Western Red Cedar or recycled HDPE synthetic lumber. 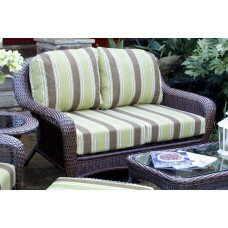 Our 100% polyester sofa cushions are all designed to match your selection perfectly while resisting mildew and fading. 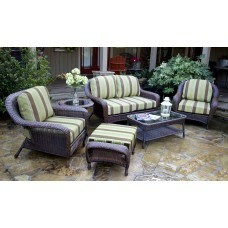 Enjoy great collections like Lexington and Portside. 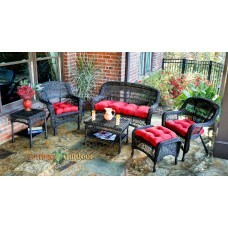 All of our sofas and sectionals are high quality pieces from trusted providers. 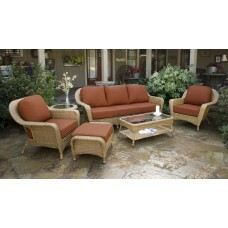 Outdoor sofas are a wonderful place to sit back and relax after a long, hard day. Curl up with a book or spend some time with a friend. This is what your back yard has been yearning for. You'll also love our full selection of fabric colors which makes it possible for you to pick the outdoor sofa or sectional which truly expresses your unique personality. You might even want to stretch out, enjoy the sun, and nap for hours. What are you waiting for? Shop our selection of sofas and sectionals now.